The different jib crane types each meet different needs in digital video and industrial workplace settings. Obstructions can limit the type of cranes you can install, but luckily for you, there is a type of jib crane for each unique situation. These jib cranes can also support different weights of video cameras and other objects you need to lift or hoist, so it is best to determine what kind of object you have to work with and its weight. Here are five types of jib cranes that are commonly used in filmmaking and industrial settings. 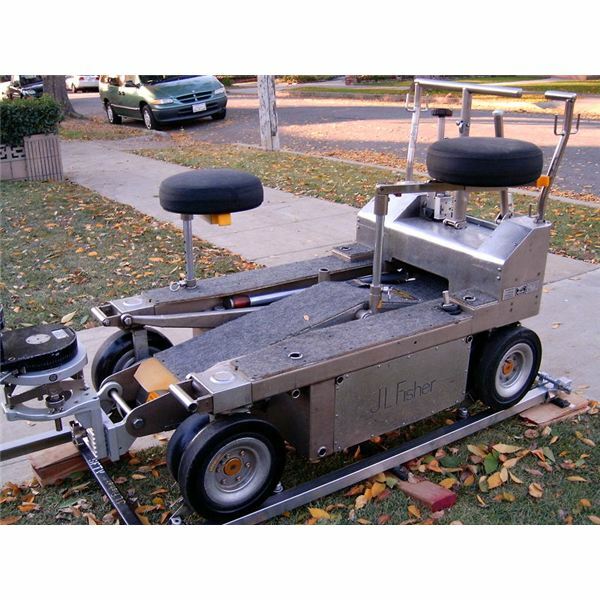 These jib cranes are mobile jib cranes specifically designed for handling professional video camera. They are similar to the usual floor mounted jib cranes but they run on a track that gives them the mobility to shoot movie scenes in a moving angle. The camera is mounted at the end of the boom to give it the ability to change in height and vertical mobility while the track it runs on provides horizontal mobility. As the names suggests, wall mounted jib cranes are mounted on walls. This is commonly used in industrial settings where there is no floor space available for mounting a jib crane. A wall bracket is used to mount this jib crane, which means there is less pressure exerted on the wall because the bracket takes a lot of the force required for the crane's activities. Certain considerations should be met first before this type of crane can be installed. A building's structure must be strong enough to take the forces exerted by the crane and its wall bracket. Consulting engineers or architects is a must before installing a wall mounted jib crane. 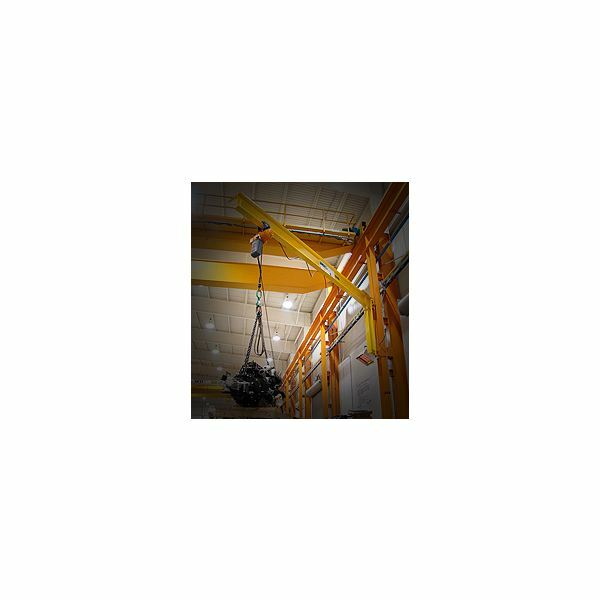 This type of industrial jib crane is mounted on the floor and is capable of doing a full 360-degree rotation. If there is enough floor space in a work area, this is an ideal crane for the job since it can be used from all angles. The maximum amount of lift for this jib crane is achieved when it is in full cantilever, which means the jib boom is at its highest possible position. It can also be adjusted to be at a certain height if it is required for specific jobs. This versatile job crane can lift up to five tons, making it a heavy-duty tool in industrial setting. 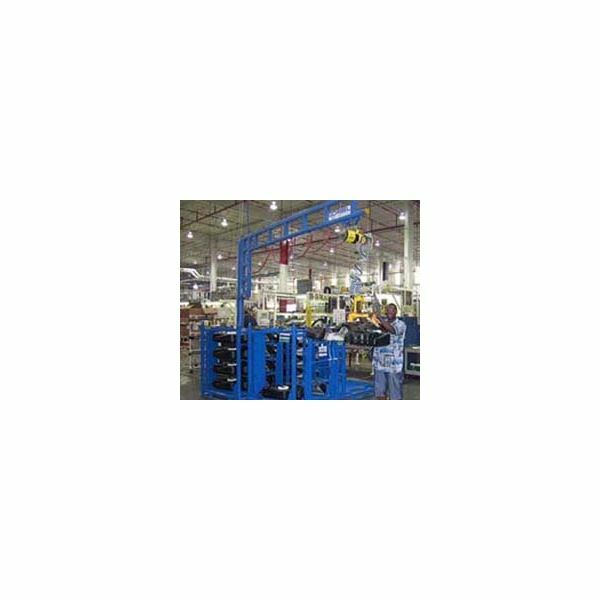 A freestanding jib crane is usually used in workstations in industrial settings where workers need support for their equipment like heavy tools and machinery like tool balancers, vacuum lifters and different kinds of hoists, as well as in filmmaking settings. This jib crane is mounted on the floor and it offers a 360-degree rotation. It usually does not require any special floor bracket. Directly bolting it to the floor is the most common way of installation for this jib crane. 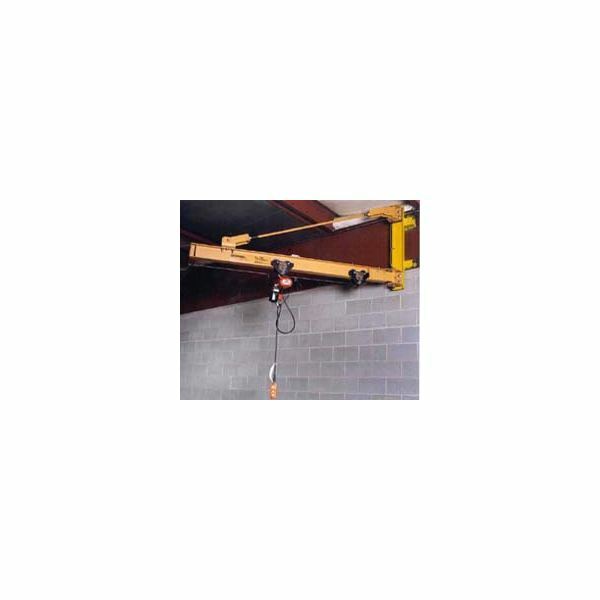 If there are obstructions in both the floor and the ceiling, a wall bracket jib crane can be mounted on a wall to provide lifting and rotation capabilities. 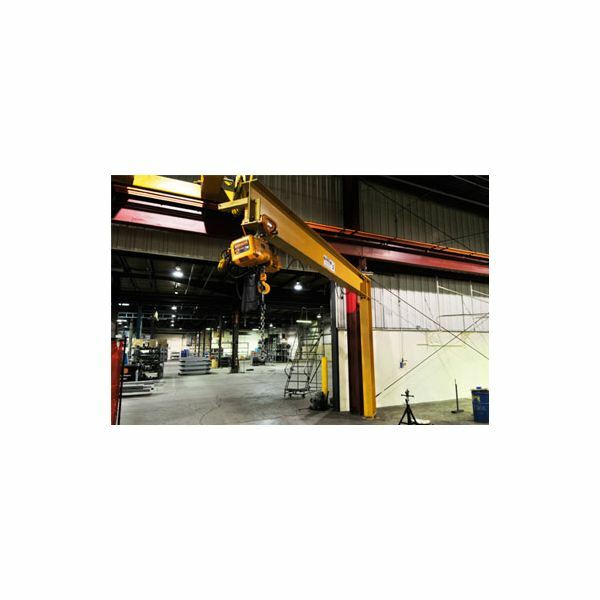 This type of jib crane can support up to 10,000 pounds. It is ideal for personal workspaces along walls and columns of work areas. Its rotation coverage may be limited, but its capability for heavy lifting makes up for that. These jib crane types are specifically designed for certain needs and work space settings, including capturing video for a movie. If you are looking for a jib crane for your work place, you must first determine your uses for it and where you are going to install it.